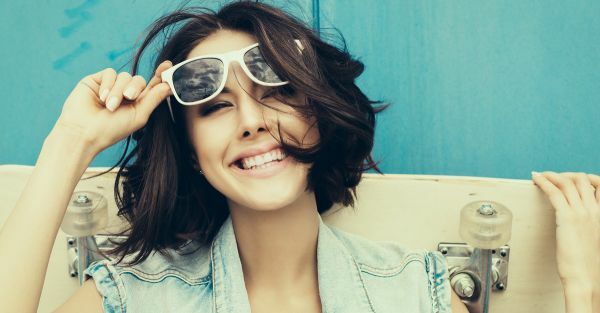 8 Lovely Colours To Pretty Up Your Closet This Summer! 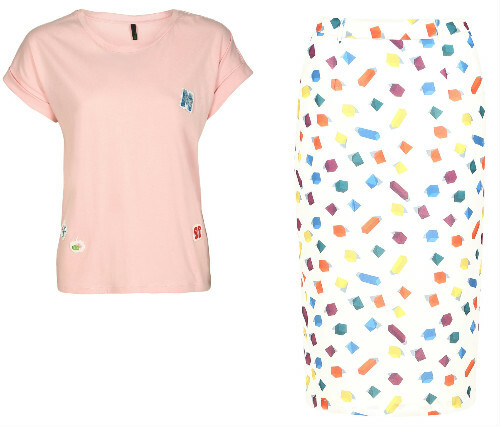 Pastels just scream summer, don’t they? These cool pastel green culottes are a great choice this season. Not only are they aesthetically pleasing, they also keep you cool all through the day. Match them with this shiny beige top and a pair of comfy wedge heels to complete the look. It’s quite impossible to imagine going through summer without white outfits in our closets! And with an outfit that is as awesome as this white shirt dress, you can be rest assured that you’re going to look and feel great. 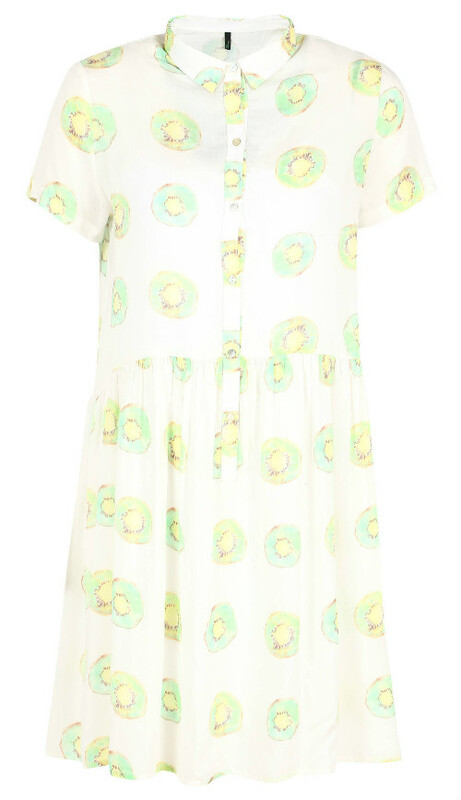 With its quirky print of kiwi slices, this dress is easy to match with simple plimsolls for a laidback day! It may be a cliched statement, but I’m just going to say it anyway - girls LOVE pink! So for days when you’re feeling extra girly, choose this pink top with cute embroidered patches. Match it with this white midi skirt with a fun colourful print and a pair of white or light coloured lace up shoes. This look is sure to work well for a day in college. Shades of green may very well be the colours of the season! This gorgeous teal dress is the epitome of beauty and comfort. You can dress it up with heels and pretty earrings for a date night. Or you can also wear it with a pair of flat pumps for a day of frolicking with your besties. Contrary to popular belief, the colour blue is anything but sad. And this super cute blue crop top with an ultra-tropical pineapple print is here to prove me totally right! 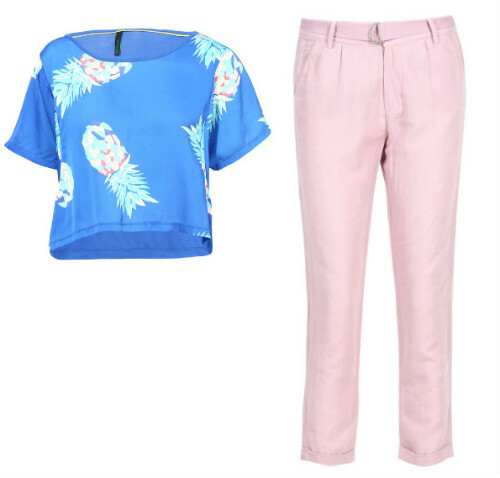 You can wear it with this pair of baby pink cotton pants and your fav wedge heels for your next casual Friday at work. People tend to avoid wearing black during summer, but some of us are completely devoted to the colour and our devotion is unaltered by temperature or climate! If you are like one of these people (guilty! ), then you can go for a t-shirt like this with bold strokes for a print. 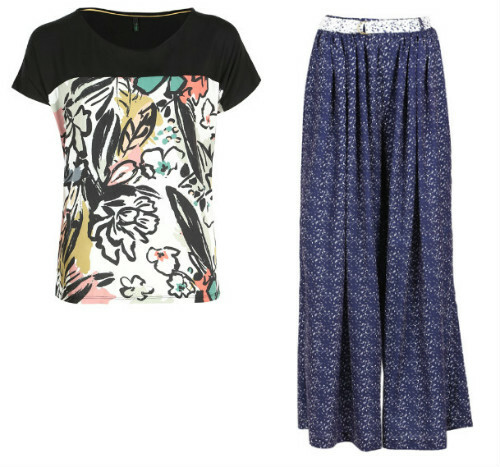 Match it with these divine flared palazzos to keep you cool and stylish. Multicoloured clothing is a bit tricky to pair with anything. It might get difficult to know where to draw the line. 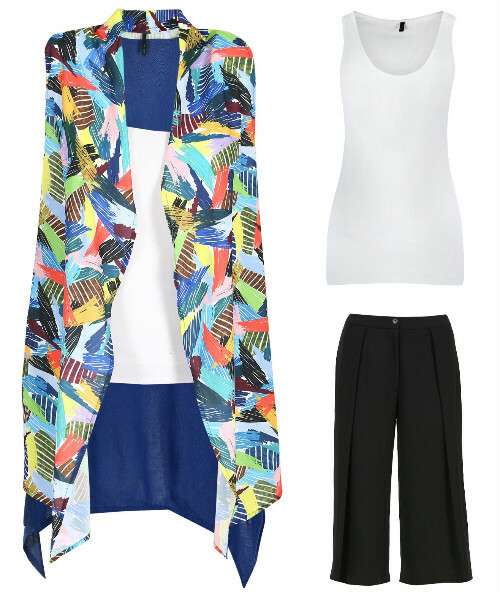 This sleeveless longline blazer has just the right amount of colours, mixed just the right way! Wear it over a classic black and white combination - white tank top and black culottes - along with black heels for a chic look for work. Orange is one of the happiest colours out there! So you can add this sweet melon orange tee to your wardrobe this year without hesitation. 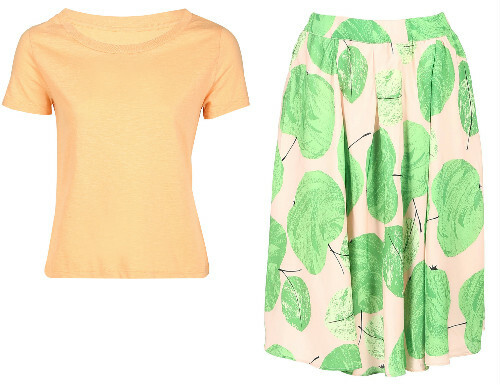 Match it with this soft pink midi skirt with exaggerated green apple print. Throw in some pastel plimsolls for a fun day out with your girlfriends. * This is sponsored post for United Colors Of Benetton. Shop the collection at a store near you.